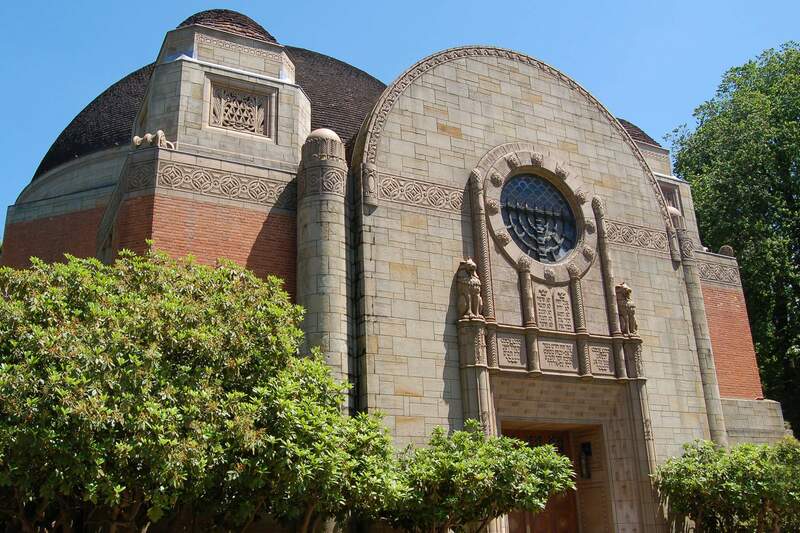 Congregation Beth Israel celebrates the High Holidays with a full schedule of services that invite each of us to reflect on the meaning of our lives, our capacity for gratitude, and our relationships with the divine. At our Traditional Rosh Hashanah and Yom Kippur Services, superb organ and choral music adds to the beauty of worship in our historic Main Sanctuary, while at our Family Services our youngest members participate in lively storytelling and enduring traditions. Our celebration of Sukkot and Simchat Torah are moving as well; the former seeing an Open House at the home of Rabbi and Cantor Cahana in past years and a community sukkah building, the latter a moving first grade Consecration Service in our Main Sanctuary. We always welcome members of the community to our High Holiday Services. Our schedule of services for the 5880 High Holidays will be available early in the summer of 2019, as will information for anyone wishing to join us as guests.